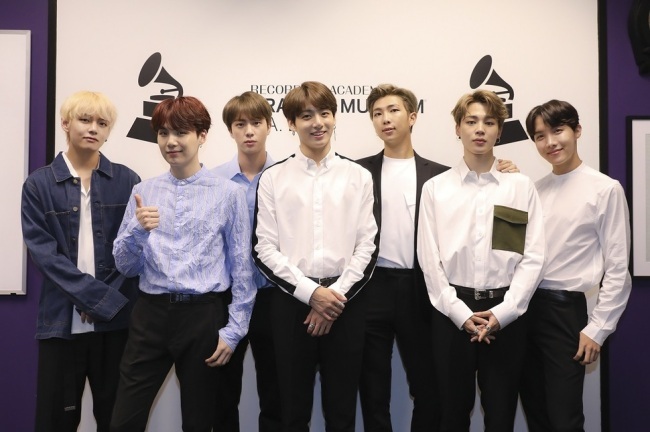 BTS’ planned appearance on “Music Station,” a flagship music program of Japanese broadcaster Asahi, has been canceled, stirring up a whirlwind of controversy. Big Hit Entertainment also shared the news on the group’s official Japanese fan page with an apology. In October, a Japanese media outlet had reported about BTS member Jimin wearing a shirt that featured a photo of Koreans celebrating liberation from Japanese colonial rule in 1945 and an atomic bomb dropped in Japan. Meanwhile, BTS’ new Japanese single “Fake Love/Airplane pt.2,” released Wednesday, ranked No. 1 on the Oricon daily single chart. BTS will perform at the Tokyo Dome on Nov. 13 and 14, before moving on to the Nagoya Dome, Kyosera Dome in Osaka and Fukuoka Yahuoku! Dome, as part of its “Love Yourself” tour in Japan.